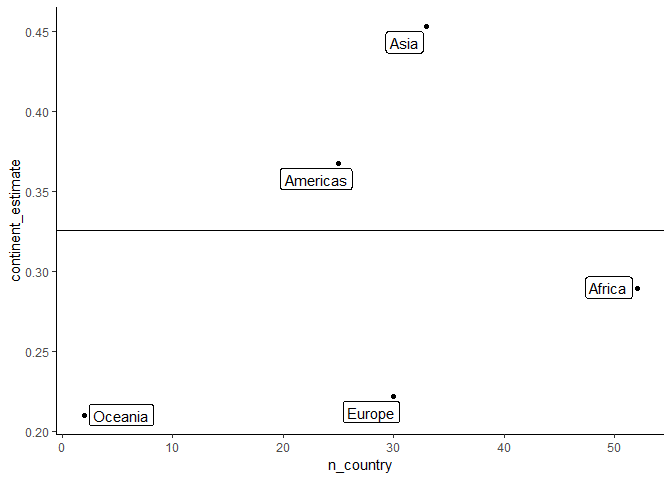 Below is a reprex where I use the gapminder data to fit a simple model by continent. 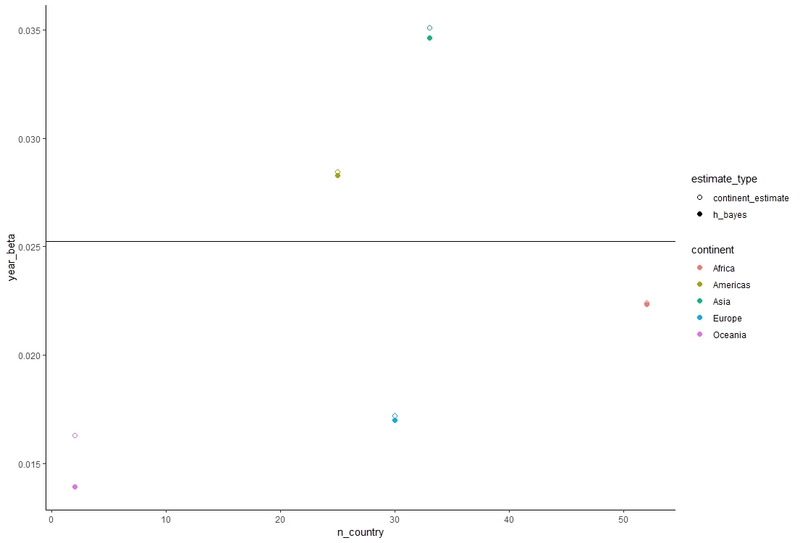 I am curious how people could solve the problem of "shinking" coefficients to one or more group level means. I have heard that brms and lme4 are good libraries for this kind of analysis. Also, what is the difference between some of these shrinkage algorithms and simply doing some kind of weighted average? #> Joining, by = "continent"
My partner wrote a great note on partial-pooling in vtreat, that has some good references to Gelman and others. This is not an answer so much as a comment that a full answer to this question has an approximately textbook length response. I recommend picking up Statistical Rethinking by Richard McElreath for a general intro to multilevel models. # coefficient to a pooled estimate. I am not sure this is correct. In fact, something seems off because the h_bayes estimates don't always shrink in the correct direction. The embed package let's you do this inside a recipe. The embed documentation was very eye opening and useful. I recently made the switch to parsnip and recipes. Tidymodels is very convenient to use. Thanks!